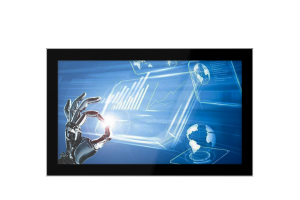 Crystal Display Systems Ltd (CDS), a designer, distributor & value-added reseller of flat panel display solutions, has launched its first embedded controllers built for the industrial automation and machine vision market. The T36X0 is a new and fully equipped controller, with a suite of I/O designed with automation in mind. Its design features include reliability and stability. 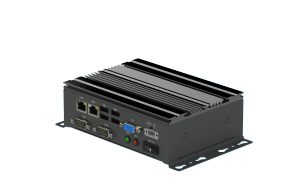 The T3 series are claimed to be rugged, compact, fan-less design, high-performance, lower power consumption, embedded Box controllers/PCs. This supports 5 LAN ports, with 4 POE, enabling direct power and connectivity to Poe devises up to 15.4W per channel (ex. IP Camera). The T3 series also uses a full-sealed mechanical structure, it can prevent dust from entering the device system. The fan less design incorporates a large aluminium fin heat sink can distribute and radiates the heat effectively and quickly giving an extended operating temperature of -20 to +60C. All series products can optionally support -40℃ ~+70℃ range, for some rugged applications and requirements. 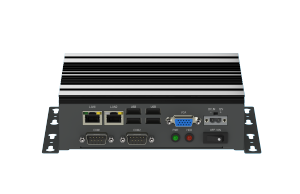 The T3 series can be widely used in industrial and automation application environments, and it has reportedly been qualified by several customers and used in all kinds of industrial & embedded, automation projects. Optional offers include Baytrail, Apollo lake, Broadwell, Skylake CPU processors, high performance, and low power consumption. Wide voltage design. Incorporating an optional industrial grade DC-DC adaptor the voltage input can be designed to meet different application situations; High quality mainboard & components, and a specially special rugged design to support industrial projects (9-36v). With a small complete machine design, it is said to be easy to mount and carry.